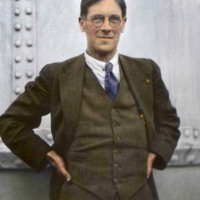 Though this website is almost entirely about American C.O.s, the SCPC also holds a small amount of letters and other items by and about WWI British C.O.s. 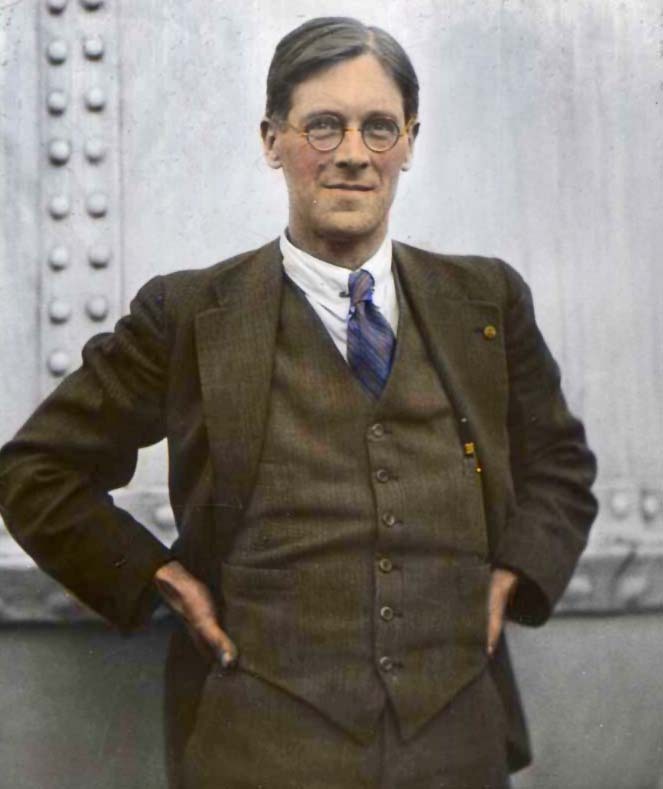 Their experience started in 1914, and their anti-war witness was often shared in American peace circles to help form conscientious principles and responses to war. Because of their influence, it was thought fitting to include them in the mix of voices for this site. To find such, see the Sydney Turner Collected Papers and the letters in the Edward Wilson and Edith J. Wilson Collected Papers. 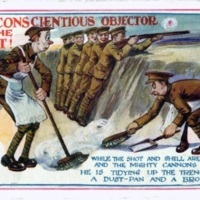 "Conscientious Objectors! The gentlemen with consciences require no swords or guns -- they're going to win the war by singing love songs to the Huns!" 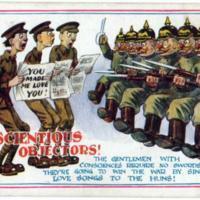 "The Conscientious Objector at the Front. While the shot and shell are flying and the mighty cannons boom, he is tidying up the trenches with a dust-pan and a broom." "The Conscientious Objector at the Front. 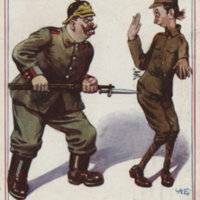 Oh, you naughty unkind German -- Really, if you don't desist I'll forget I've got a conscience, and I'll smack you on the wrist!"